Heyya! Welcome to Native Camp! My name is Liah. Helping people is what I am passionate about, especially helping students who wanted to learn. I have an experience in tutoring grade 10 and 11 in the field of Mathematics and Accounting, respectively. Teaching them was never a dull moment. I make learning light and fun. So if you want to experience studying while enjoying, then, no doubt, I am the right match for you. Looking forward to seeing you in class! 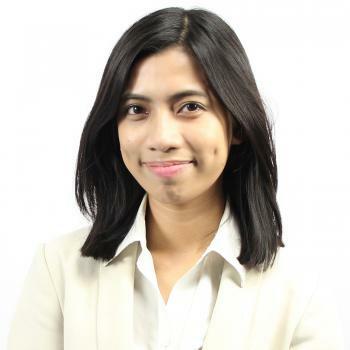 Teacher Liah is pursuing a Bachelor of Science in Business Administration major in Management Accounting. As she is currently earning her degree, she has quiet a few of experiences from different jobs like Bookkeeper. This is, in fact, her first time to be an ESL teacher. Nevertheless, she has an experienced in tutoring Grade 10 and Grade 11 in the academic subjects such as Mathematics and Accounting. She has the ability to make learning light and enjoyable! Thank you for your lesson. I have to study English more and more. Any way see you next time. Thank you so much for today’s lesson!